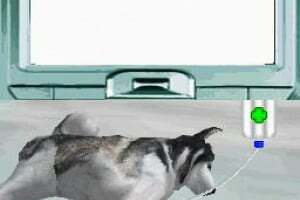 Sorry, no review of Pet Pals: New Leash on Life yet. 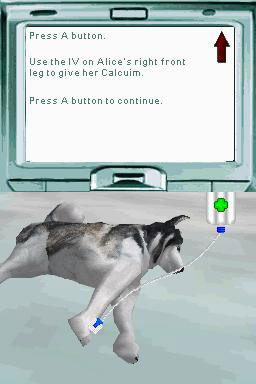 Legacy Interactive® is releasing the first round of screenshots for their upcoming game, Pet Pals®: New Leash on Life, for the Nintendo DS™. 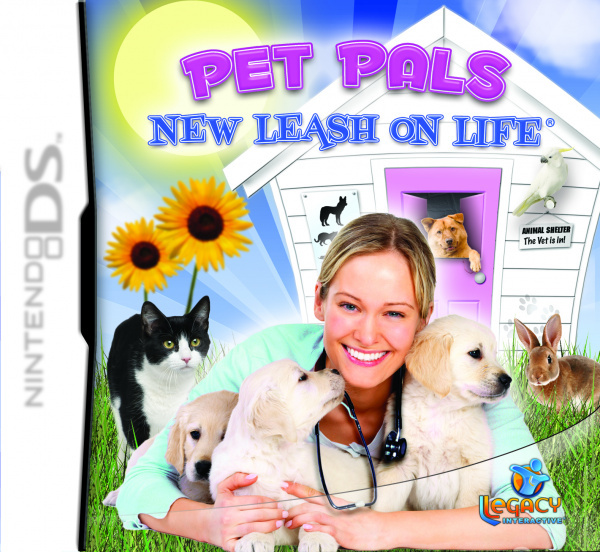 Pet Pals: New Leash on Life is the latest addition to Legacy’s unique and thought-provoking veterinarian game series which offers realistic scenarios, tools and procedures, in stunning 3D for the first time. 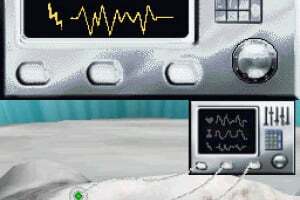 In the game, the player assumes the role of a new veterinarian with a big responsibility…healing all the animals that come into the New Leash animal rescue center. The player’s goal is to nurse all of the admitted animals back to health and ultimately place them into permanent homes. 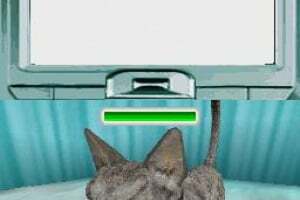 Players will encounter more than 30 different animal cases, derived from practicing veterinarians, as they play through the video game. 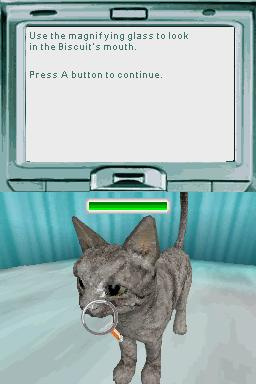 The player begins Pet Pals: New Leash on Life by selecting an animal that is quarantined. The sick animal is then moved to the clinic where treatment will take place. 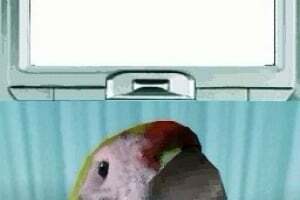 First the player needs to ask the accompanying vet tech three questions to get more information on the animal’s condition before continuing on to perform the medical procedures. 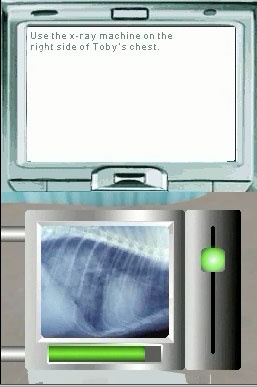 In every difficulty level, hints are available to the player. 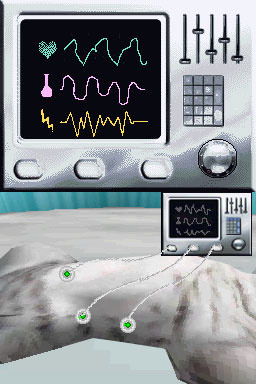 Hints tell the player exactly which tool and body part to select so that the treatment mini-game can be completed correctly. 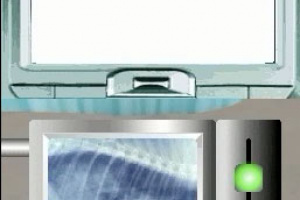 Before starting any treatment step, the player should read the hint on the top screen in order to know what to do. As with previous games in the best-selling Pet Pals series, Legacy is partnering with The Humane Society of the United States. A portion of the sales from Pet Pals: New Leash on Lifefor the Nintendo DS™ will provide financial support to the non-profit organization. 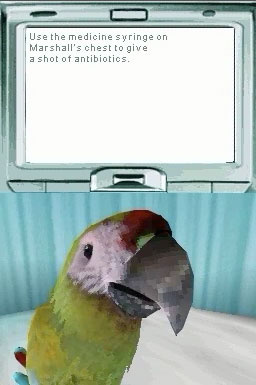 Wat? I don't want to give an eSuppository.